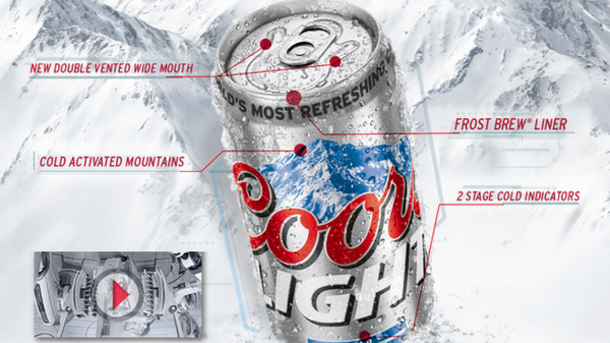 Will this new can make Coors Light any better?! The Coors Brewing Company announced today that they will soon begin offering Coors Light in a new “shotgunnable can” that will feature a second tab on its side to allow for easy shotgunning. Coors is aiming to rid binge drinkers of the tedious burden of searching for the air pocket in a can of beer before it’s punctured, as well as eliminate the possibility of a punctured beer spraying out all its beer before it can be shotgunned. With the innovation, Coors is aiming to rid binge drinkers of the tedious burden of searching for the air pocket in a can of beer before it’s punctured, as well as eliminate the possibility of a punctured beer spraying out all its beer before it can be shotgunned. The can is expected to have a large impact on the canned beer market and is one of the first large-scale attempts to court binge drinkers, who spend hundreds of millions of dollars on cheap beer every year.